There have been a lot of stories over the years, both good and bad, about the quality of solar panels available for residential use. As we’ve learned, not all solar panels are created equal. SunPower is the leading manufacturer of solar panels in the industry and is currently credited with breaking the world record for solar panel efficiency. That’s exciting! Until recently, the biggest obstacle to getting the panels for residential properties in Utah is finding a certified contractor to install them. However, Sunpower just announced a long-term relationship with South Jordan-based Solaroo Energy. 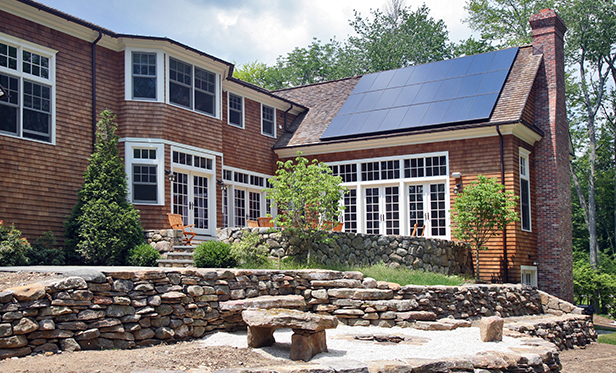 Solaroo Energy has been on the cutting edge of residential solar for many years by incorporating sales, engineering and installation as a complete process managed and controlled under one roof. The contractors, engineers and installers who work with Solaroo have confidence in SunPower as their newest partner. We’ve often sought out Solaroo Energy for insight and expertise into this growing, changing industry. We did so again as we spoke with Kelly Curtis, their CEO, and asked why this is such an important partnership and how it will benefit Utahns across the Wasatch Front. The most obvious benefit of SunPower’s high-efficiency AC panel is that it allows more production per panel, Curtis says. SunPower offers a 360-watt panel that is the same size as most 270-300 watt panels. We learned that it’s not just about producing more than another panel; it allows owners to pack the most solar power in the best-producing spots on your roof. Studies have shown that by maximizing the wattage in a compact size, SunPower’s panels can produce as much as 20-25 percent more output than that of a 300- or 250-watt panel. What makes it truly unique is that it gives the homeowner the ability to fit more panels on the southern exposures of a roof. By capitalizing on the south side of the roof, Solaroo Energy can eliminate, in some cases, the need to go to the east and west exposures, which adds another 10-15 percent bump. The extra production from a SunPower solar home can be the difference between solar taking 70-80 percent of your bill away to completely offsetting the whole thing. The energy production doesn’t just stop with a higher wattage rating. SunPower also has the lowest rate at which a panel degrades, which extends the useful life of a solar paneled home and produces more of its capacity each year. One of the nicest features for the SunPower high-efficiency AC module include those two letters — A and C. The panel has embedded technology that converts the AC into DC at the panel level. That means the power will come out of the panel AC instead of DC, eliminating the need for a separate inverter. Technology moves fast and it’s no different in the solar industry! Curtis explains that the AC module is just the next step in technology for the solar industry. Having to install a micro inverter underneath each panel is now eliminated, as well as having a bulky inverter with a lot of electronics on the side of your house or in your garage. When you combine this with the new invisible racking, a solar installation can now look clean and neat, and not like you have a time machine wired in your garage. SunPower has been on the cutting edge of technology. Most manufacturers only produce a single item — panels, or inverters, or racking, or monitoring solutions. But SunPower has integrated all components under one manufacturing plant, allowing them to service the entire system with just one warranty, making them the first manufacturer to provide all components to a solar system. The SunPower-Solaroo Energy partnership works well with both their individual commitment to the highest standards. Not only that, these two companies invest in the best engineering minds to create the best in production and design for their customers. For more information about SunPower products, or for any question regarding solar, give us a call at 801-826-4888 or feel free to browse our website.